Autoagent™ is a patented cloud based data and software solution that makes processing tax payments easier. Using patented technology, Autoagent has proven to eliminate 95% of refunds which save your institution countless hours and costs associated with processing errors. To accomplish this, Autoagent™ sits between Tax Offices and Payers to handle all communication and reporting. Autoagent retrieves fresh tax rolls that reflect current balances, blocks duplicate payments from multiple payers, and delivers perfect electronic payment files that can be imported directly into any of the 24,000 tax offices in the country. "Autoagent™ is extremely easy to use and we have been really pleased with everything so far. Autoagent has been great at reducing the number of refunds our agency has to deal with regarding mass payments." "I think we have not had any refunds this year! We are very happy using Autoagent. We could not even believe how smooth and easy this process would be, until we saw it really happening. Thank you!" "Very simple. We enjoyed the ease with which it gave us to upload all of these payments with-out having to enter them manually by hand. Our refunds dropped drastically." First version of Autoagent™ is launched for Cook County Treasurer, IL. More Illinois counties "Join the Evolution". Autoagent™ becomes FREE to Tax Offices and marketing efforts in Arizona, Indiana, Florida and Illinois payoff. Autoagent™ expands in Florida, Indiana, Colorado, Ohio. The new re-invented and Patented Autoagent™ 2.0 is launched. The first Social Network between mass payers and tax offices is introduced. Autoagent grows faster than ever with advanced cloud security and redundancy. Lender/Payer synchronization and Multi-Installment Payments is simplified. iPayments for individual tax payer payments is launched with great success. Autoagent™ works with 78 Tax Offices in 11 States. $10B in property taxes are paid through Autoagent. Idaho, Arizona and Utah Tax Offices are added to Autoagent™. 7 Million property tax bills are paid through Autogent. 70% of all North Carolina property tax is paid through Autoagent™. Georgia tax offices are added to Autoagent™. $25B in payments for 180 tax offices. 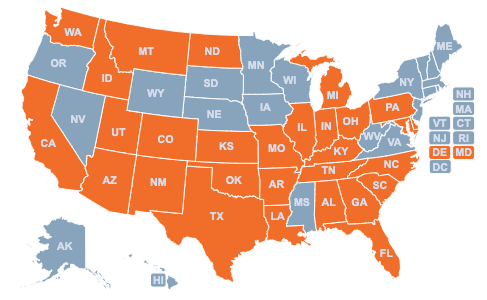 Autoagent™; is now in 21 States.